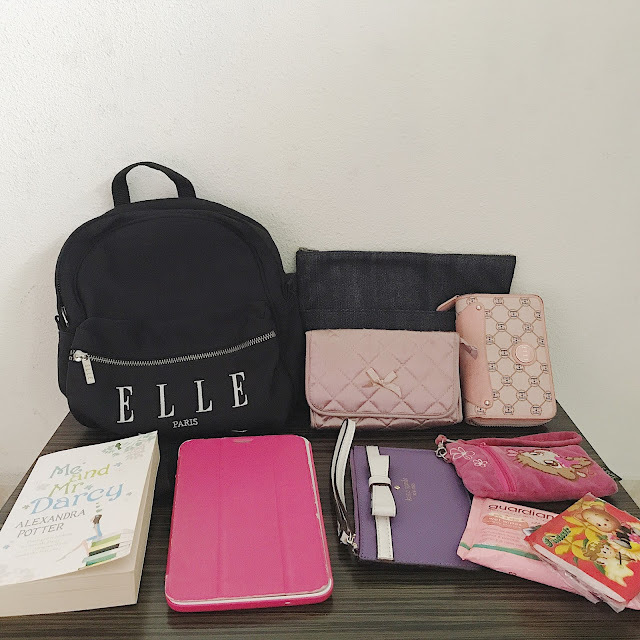 Recently I love reading and watching What’s In My Bag posts and videos. I have no idea why I’m into this, maybe I’m nosy about what’s in people’s bags. I’ve seen what’s in the bag of many people so I thought why not show what’s in my bag. I do switch bags often but there’s one bag that I use most of the time which is my ultimate favourite bag and it is my Elle backpack. I like the Elle backpack because it’s my style, nerdy, and it matches most of my outfits even if it’s not nerdy. Besides being my style, this backpack is the perfect fit for all the things that I carry whenever I’m out. Now onto the things that I put into the bag. It’s a definite thing no matter the personality of the person. I have two wallets because I have a ton of cards. My most used cards are in my main wallet and the the bulk of my cards which are mostly membership cards are in my second wallet. Also in my second wallet are my keys and public transport card. Although my public transport card is used frequently, it’s in my second wallet because I usually go straight to the bus stop to hop on a bus after I leave the house. Since I’ll need my keys whenever I leave the house which is in my second wallet, I’ll have that wallet in my hand. With my public transport card in it, it’s more convenient because I’ll just continue to have the wallet in my hand till I’m on the bus. I’m not into beauty but I do carry some basic beauty essentials such as comb, hair tie, hair pins, lip balm because my lips get dry very easily and perfume to freshen up whenever I get that icky sweat smell. There’s a lipstick in the pouch that I’ve actually not used for a long time because I’ve not wore makeup for a long time. I’ve never been into makeup but occassionally I do put on foundation and powder. I’ll use the lipstick whenever I do apply makeup but if I don’t, I’ll use lip balm. Since I wear glasses not only to be nerdy but because I’m myopic, I have a cloth in the pouch to clean the lenses when it’s dusty or frosty. I have plasters in the pouch in case I cut myself and bleed or when my shoes hurt my feet. 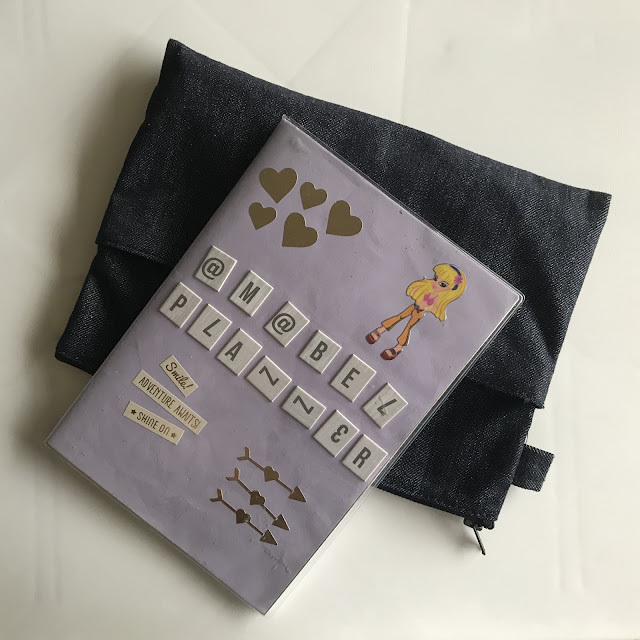 I don’t bring my planner out all the time but I want to include it to this list of things in my bag because sometimes I do. I don’t really need my planner when I’m out but I bring it because of the size of the pouch. It’s a perfect fit for documents or letters and because I meant for it to be a planner pouch for my planner, stickers and pens, I didn’t want to take them out when I’m using the pouch for documents and letters so I’ll just bring the planner items along. Sometimes I listen to music when I’m on the public transport especially for long rides, so I need to have a earpiece. 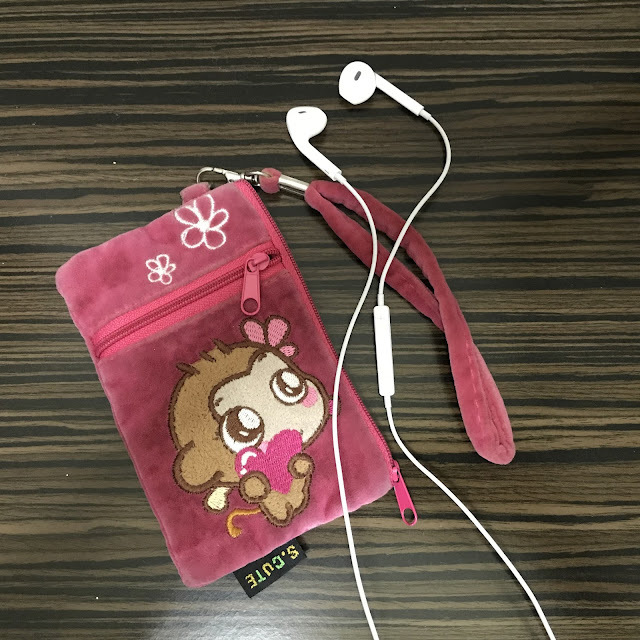 The earpiece has a pouch of it’s own so that it doesn’t get tangled among other things and is easier to find in my bag. I bring both dry and wet tissues which are very essential for several purposes but mostly for meals and toilet because some washrooms don’t provide toiletpaper. This is very much self explanatory. One of my favourite ways to spend the afternoon is to sit at a cafe with a cup of coffee or tea and read. There’s a cafe at the mall nearest to my house that I always go to but besides that, I do lots of other things at the same mall. if I don’t plan to visit the cafe that day, I’ll still have a book in my bag because sometimes mood unexpectedly changes and I may want to go to the cafe. Sometimes I do go to McDonalds for breakfast and I like to stay there to read while I slowly drink the coffee after I’ve finish eating. This is linked to spending the afternoon at a cafe or morning at McDonalds. I’ll read for most of the time spent at the cafe or McDonalds but I definitely can’t read for the whole time I’m there which is usually about 2 hours, so I’ll surf the net on my tablet in between reading. These are all the things that are in my bag. There’s one very important thing that I always bring out but didn’t mention which is my phone. Although it’s an essential, I didn’t mention phone because it’s usually not in my bag. Most of the time I’ll either hold it or put it in my pocket.